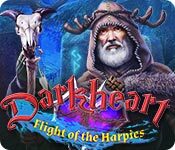 Darkheart: Flight of the Harpies is rated 3.5 out of 5 by 8. Rated 5 out of 5 by BooksandGameFan from Don't be swayed by negative comments this was FUN! Don't be swayed by negative comments, this was an exceptionally good game! I enjoyed every minute of it. It wasn't overly long like many of the older games but it wasn't really short like many of the newer games have been, it's a pretty good length. I wish I purchased the CE so I could have had more time with this game! Something about this game just drew me in and I didn't stop playing until the game was over. That hasn't happened to me very often lately. The scenes were clear and colorful, the music was beautiful, the sound of their voices were just perfect, nobody irritated me except when they talked a little slower than I would like. The storyline was nothing all that new but it was told well and the objective of what you were to do and why was always clear throughout the game. There were times when you had to find ingredients to make potions or healing bandages etc. I love doing that! 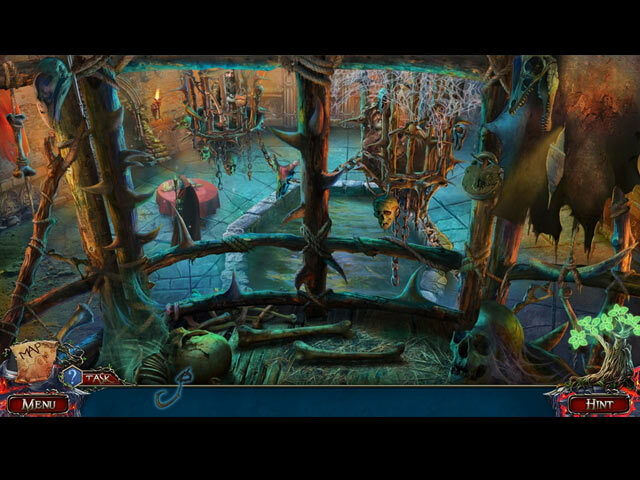 The hidden object scenes were fun and very interactive, the puzzles or mini-games were also fun and relatively easy because I was willing and able to do almost all of them! I think I really enjoyed this game so much because the flow was just so good in this game and you weren't running around looking for all kinds of stupid amulets to open every darn thing!! This game is by LazyTurtle I do not think they've made too many hidden object games before and I have to say if they keep this up they are going to give our big name designers a real run for their money! Bravo Lazy Turtle! Yes, I highly recommend this game. 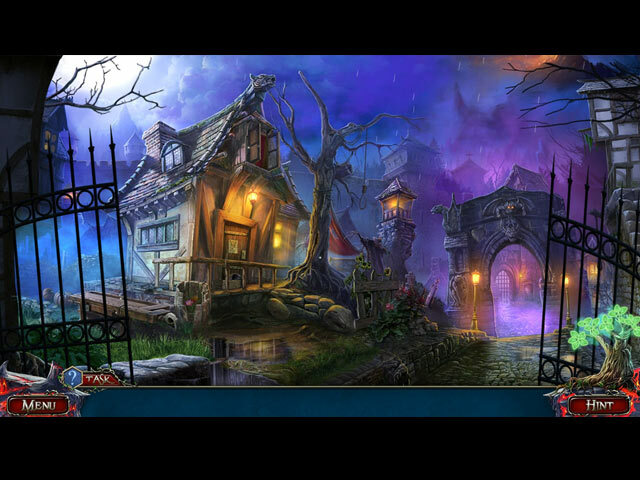 Rated 5 out of 5 by DeadRiver from Fun and Creative Hidden Object Game This game has everything. The visuals were beautiful with vivid colors and extraordinary special effects. The characters and scenes were well drawn and realistic. The animation was very well done. Sound quality was excellent. The voice overs were clear and understandable. The music is fabulous. 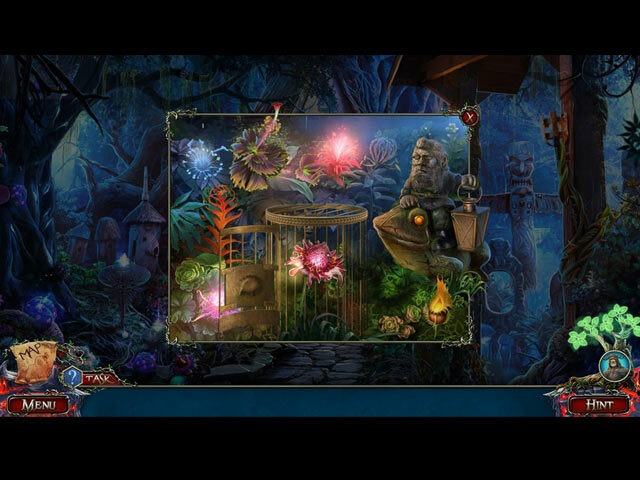 Hidden object scenes were well done, some of them very different, some interactive, and some just plain fun. Puzzles were okay. It was easy to understand and pursue objectives. The story line is exciting and fascinating. In the opening scene the player has to escape from a prison cell where she is being held for throwing a rock at a Harpie. It doesn't get more creative than that. The game had a nice feel to it; it flowed smoothly and was a pleaure to play. It was an immediate buy for me. Rated 4 out of 5 by lala4home from Wacky? yes. Fun? yes This game had me wondering if my Win10 was having seizures again, but no! It was just really awkward cinematics. But (big but) it's a really fun game. The art is wonderful and the voice actors are superb which I find to be rare, and the bad ones are enough to kill a game for me. The logic is sometimes there in the storyline and sometimes it's out the window, but if you can relax and let that go, you'll have some fun with some unusual minigames. You'll see alot of what you've seen before-repair that wooden wheel or you're stuck, etc. but at least presented in a different way than usual. Anyway, I really liked it. It appealed to my sense of the ridiculous and was beautiful and engaging on the way. Do try the demo, I can see not everyone will be able to get past the awkward start and the weird animation. But you might find it amusing and refreshing, like I did. Rated 4 out of 5 by caput from A little bit jerky at first But all in all a good story. I love the illustrations and the quirkiness of the characters. Has a good adventure element and the mini games are easily solved. At first I thought that I would not want to purchase this game but... after playing for a bit, I am intrigued enough to buy it especially at today's price. Rated 3 out of 5 by RosieMuffin from Good but unfinished! I would love to give this game 5 stars, the visuals are beautiful and the game as a whole is really fun.. I can't though because it's unfinished. I'm wondering if it was properly play tested? There were more than a few moments where I had to click on the same object multiple times before it let me interact with it, and near the end the voice acting and sound effects just stop. The ending also felt very rushed and clunky compared to the rest of the game. It's a real shame because had this game been more polished it would definitely be on my favourite of all time list, I still enjoyed it but i'm just surprised it was released before being properly finished, especially as it costs money to play! Rated 2 out of 5 by clairepagan from Short and too Easy Bought this 3 hours ago. Played on hard setting and no skips, finished already. Usual culprits were there, oil can, find bits for ladder, light lamp, light torch, find handle, sharpen blade blah blah blah. Nothing new or original. A poor mans Lost Lands. What I also found dubious is you have a male mage, a male dwarf and a male robot helping you because you are a weak and feeble women. You can't seem to do anything yourself. Also not very PC that you ask dwarf to crawl into a log because he is small, you also order him to jump into a lake to rescue the mage. Even though he don't like swimming and has to be tied to a rope. Why? Why can't you rescue the mage yourself. Also at one point you carry round three totem pieces turn out to be a huge statue taller than a man. Yet you were skipping around with these things like they weighed nothing. Yet you can't undo some bolts without a robot help. I love a immersive fantasy game, this one is too silly, too poorly thought out and too short. Rated 2 out of 5 by Granny_Gruff from Does Anybody See What I See? The villagers are gathered in the square as the local leader shouts at them. The Harpies fly in and start to carry some of them off, including the parents of our protagonist. She - I know we are playing as a woman because we are addressed as such by several characters - manages to hit a Harpy with a rock and is tied by the ankles and carried off. She cuts herself loose and, after landing head first, is thrown into prison for trying to stop the Harpies! Her sister stops by to berate her in jail. Our heroine breaks out and heads for home. There, sister throws an amulet out of the upstairs window. We go off to repair a wagon, and build a ladder to enter our home through the second story window. Once inside we retrieve a combination to open a secret compartment in a spinning wheel. Inside, we find a second amulet to go with the first one and we open the wardrobe a few feet from our sister, still asleep at a desk. Then we proceed to repair shoes, dresses, hats, and statues inside the wardrobe so that a compartment in the top pops open to reveal a harness for the horse that we are going to steal along with a peddler's wagon to leave town at night. As we finally leave, the guards shoot arrows after us - that way we will have ammo for the bow we repaired and are carrying around. Now we can save the Druid. Things will get crazier and not in a good way. Good news: You save a Druid from a werewolf. He will help you along the way - so long as you run around getting things together that he needs and watches you find. Bad news: We only temporarily cure his wounds after we save him from the werewolf. Unfortunately the wounds reappear when we reach the river bank near the evil mage's mountain. Good news: We don't have to smoke the bees to get their honey. Bad news: We have to find a beekeeper's hat as these bees will let us take the jar of honey standing outside the hives as long as we have the hat. Good news: We get to carry around pieces of a totem that is as tall as the mage to help us summon his forest tree friend. Bad news: None of those developing this game is conversant with a dictionary. So mage - a learned person or magician - is used interchangeably with demon - a devil or evil spirit. And demons are popularly believed to live forever, but this one wants souls to keep him alive. And he looks like someone’s grandfather while the village leader looks way scarier! Good news: There are more scattered bits of silliness in this demo than in any other this week, and you can bail at the end. Bad news: When you try to recount the story to any rational person, they may accuse you of deceit or delusion as the story is a confusion of superstition, magic, mythology, and mislabeled characters. I recommend only that you try the demo. If you can frame the story in a way that sounds sane, then this is a game you might want. If you back away from your monitor and look for a good book, I sympathize!